Posted on January 19, 2014, in Tibetan Culture & History, Uncategorized and tagged tibet, Tibetan culture, Tibetan traditions. Bookmark the permalink. 2 Comments. 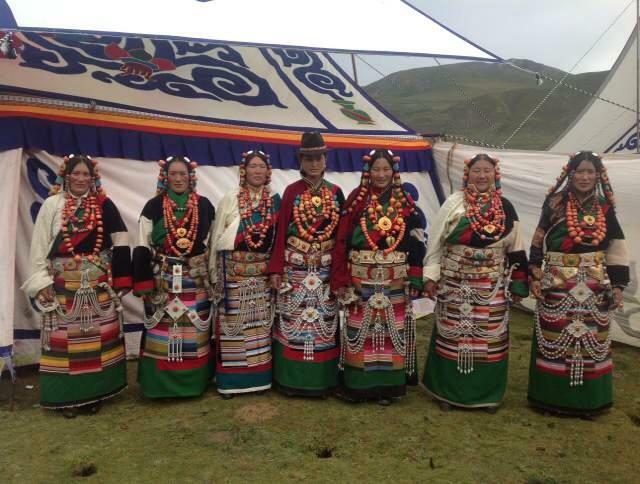 Ahhhhh…the beautiful women of Tibet. The mothers, daughters, sisters, grandmothers, aunties, nieces, all fully arrayed for the festivities, taking time to celebrate and to smile, to enjoy, to sing, to dance. May they all be blessed and may their families be blessed.